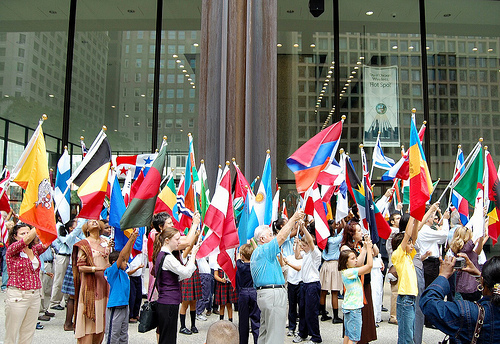 Peace Day, a traditional event established in 1978, was held in Chicago. The Message of Peace was sent from the Daley Plaza. The event was attended by representatives of the City, the State of Illinois, consular corps, representatives of ethnic communities, members of cultural and educational institutions and others. During the ceremony of World Peace Flag the flags of all world countries - members of the UN – were carried. A prayer for peace was sent for each individual country. Consuls General and representatives of consulates based in Chicago carried flags of their own countries. On behalf of the Consulate General of the Republic of Serbia Acting Consul General Dejan Radulovic participated in the event. The event Peace Day was established in Chicago three years before the UN declared September 21st the International Day of Peace.